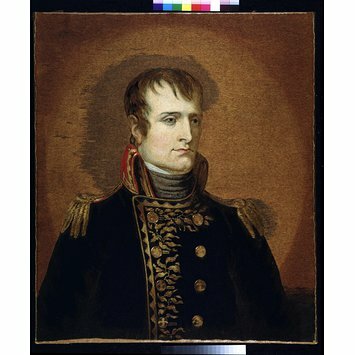 The technique of this portrait is known as needlepainting, a type of embroidery, in which oils or other paintings were faithfully copied, with the brush strokes rendered by stitches worked in crewel wool. Needlepainting was practised in the second half of the 18th and early 19th centuries. Mary Linwood (1756-1845) was the most renowned practitioner, through the exhibitions of her work held in London. Mary Linwood lived in Leicester, helping her mother to run, and eventually taking over, a boarding school for young ladies. In 1776 she exhibited needlework pictures at the Society of Artists in London. In 1787 she was introduced to Queen Charlotte (1744-1818), and this encouraged her to exhibit some of her pictures at the Pantheon, Oxford Street. In 1798 she opened an exhibition at the Hanover Square Concert Rooms in London, which toured to Scotland and Ireland. The collection, increased to 64 pieces, returned to London to be shown at Mary Linwood's own gallery in Leicester Square, where it remained on display until Linwood's death in 1845. Contemporary accounts suggest the gallery's presentation was very elaborate, the main hall hung with 'scarlet cloth, satin and silver'. The copy of a painting Lady Jane Grey Visited by the Abbot and Keeper of the Throne at Night was shown in a prison cell at the end of a dark passage. (Lady Jane Grey, the 'nine days Queen', was executed by Mary I for treason in 1554.) 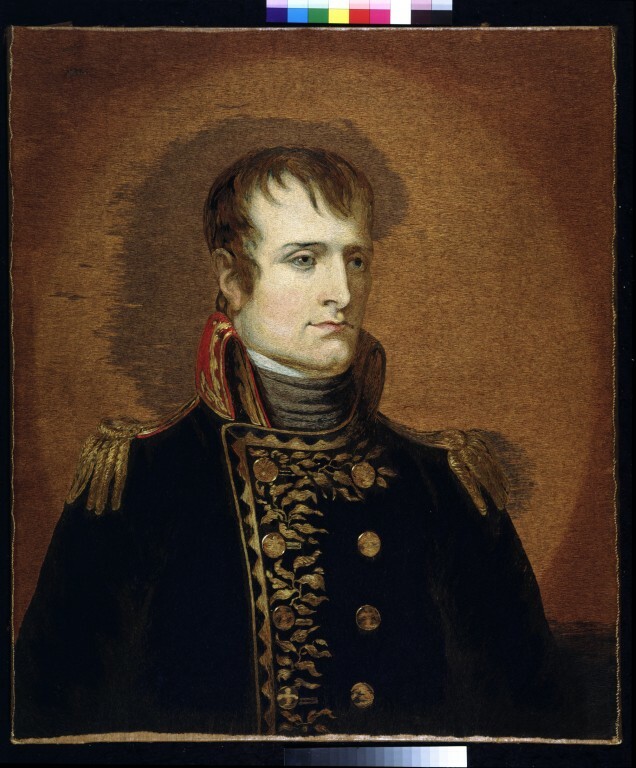 This portrait of Napoleon was displayed in the Leicester Square Gallery as number 52, in the 'Gothic Room'.